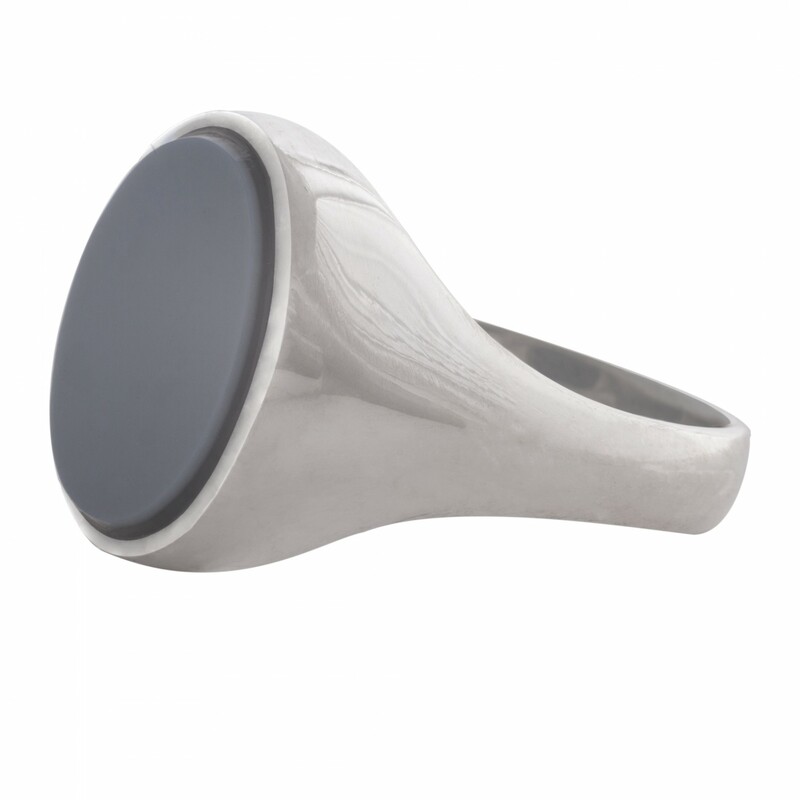 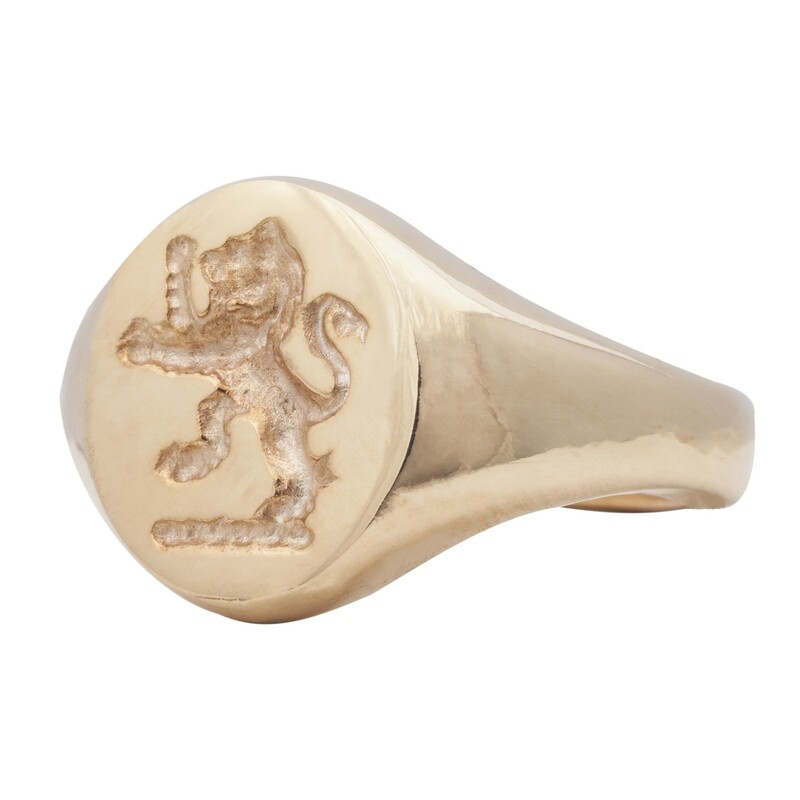 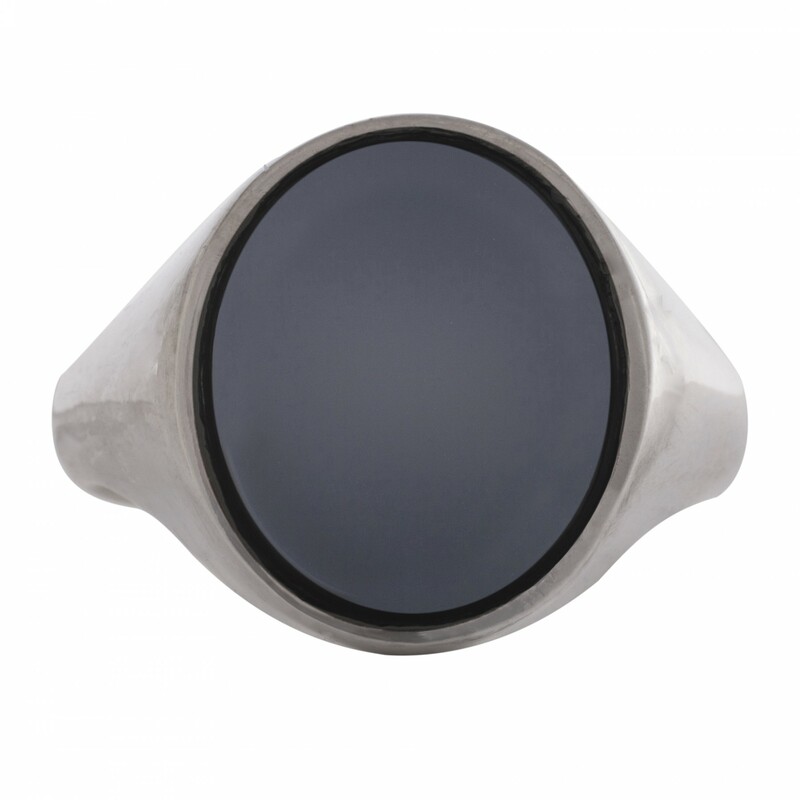 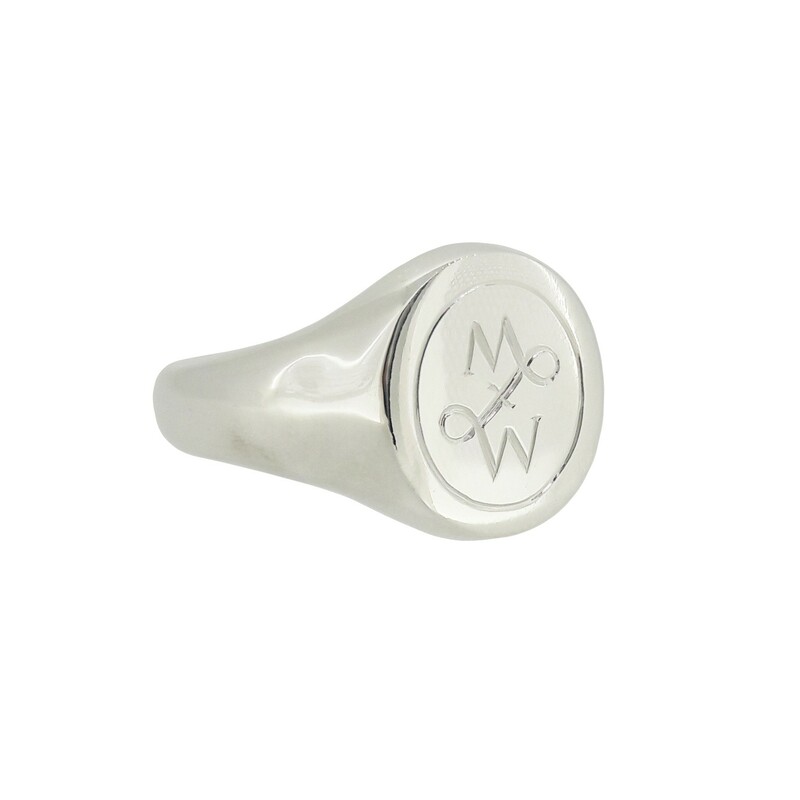 A bold, solid silver signet ring with a full size blue sardonyx disc. 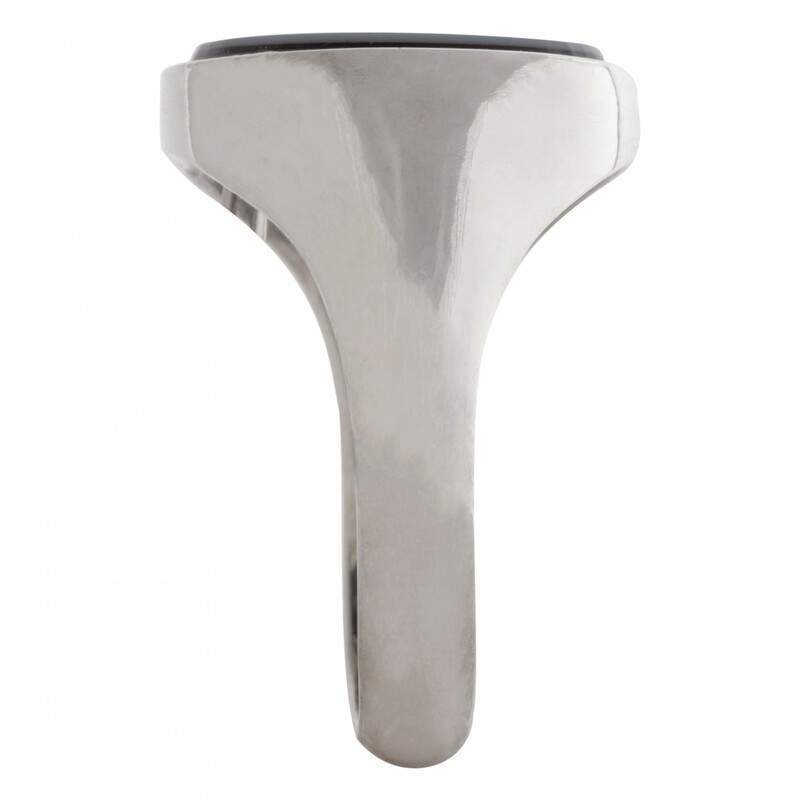 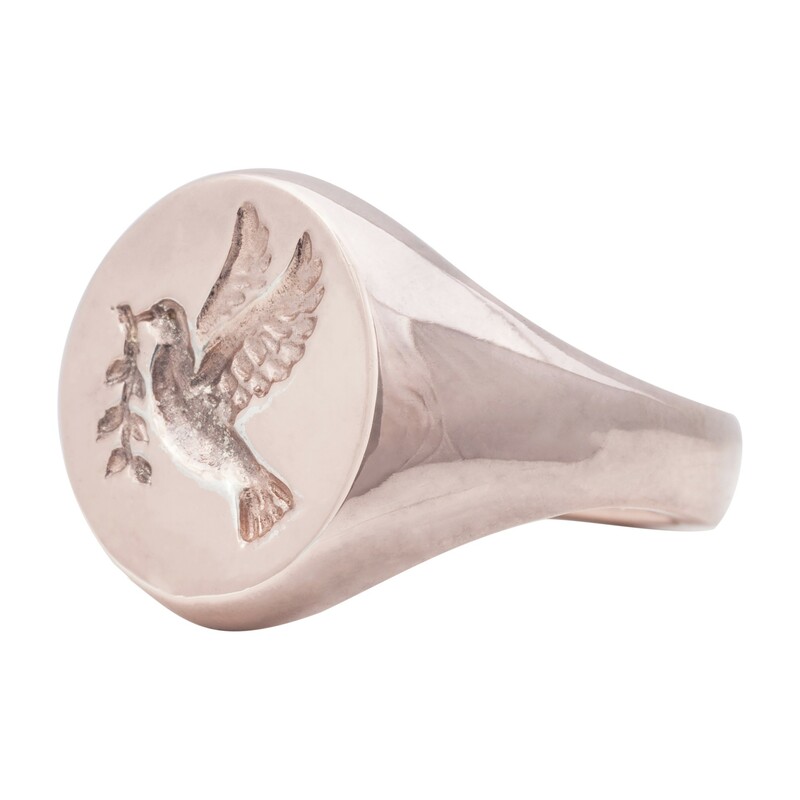 Can be personalised with a seal engraving, for a truly individual gift. 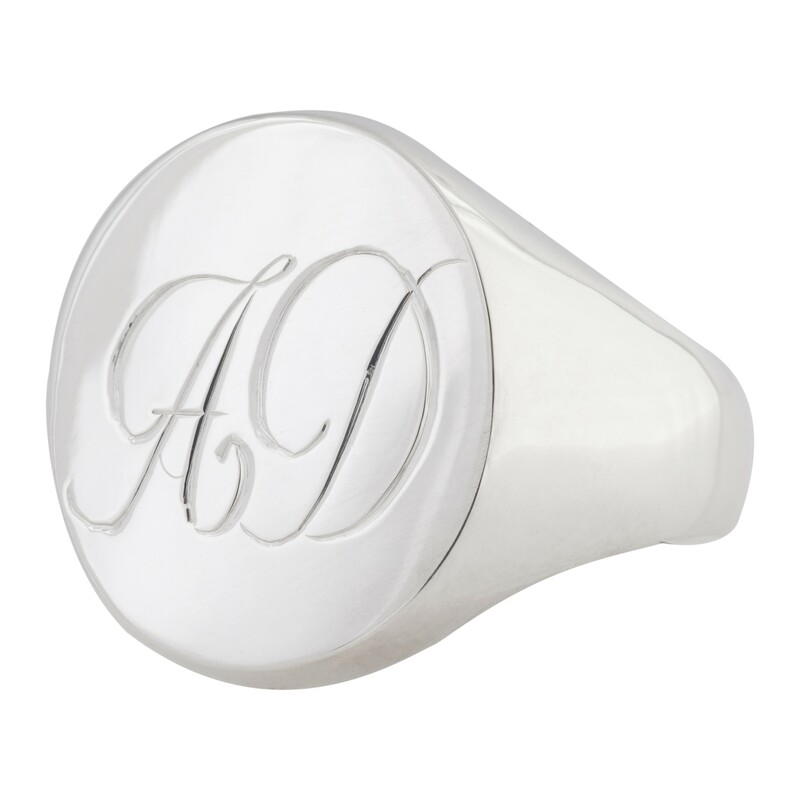 Examples can include family crests, monograms, and symbols prices available upon request.